You can email George here! Below I'm going to give you the Introduction from the book and also a scan of 3 poems from the book so you can see how the layout works. 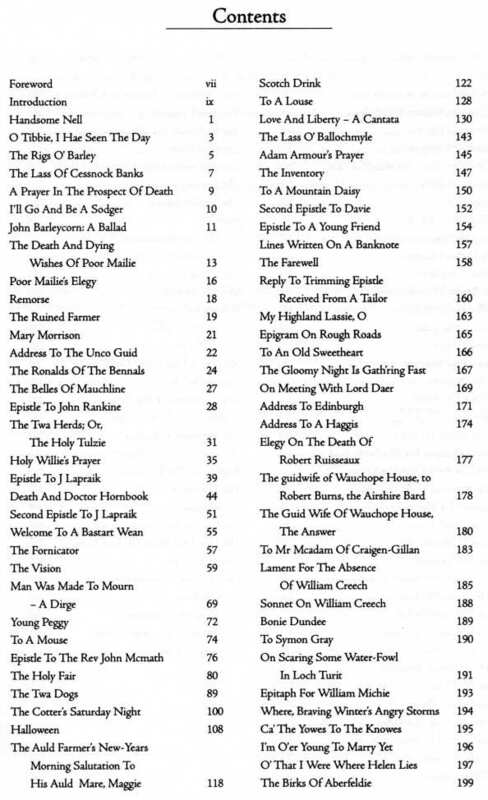 I'm sure that having read these pages you'll want to get a copy of this for your own home. I would like to thank George for giving me permission to put up his entire book onto the site. 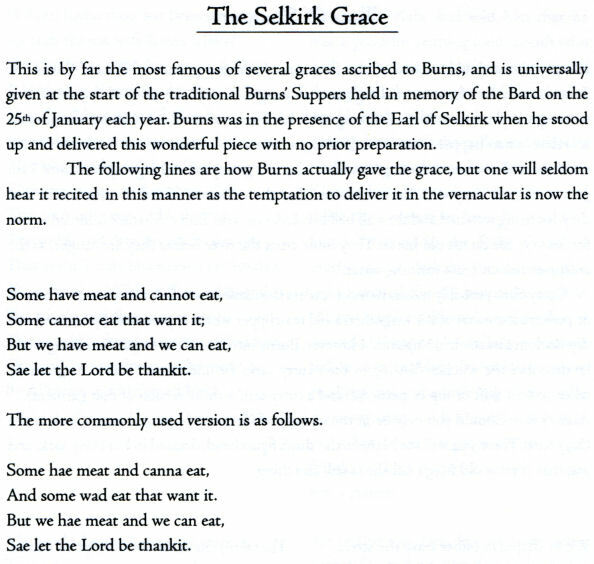 He and I hope this will greatly improve your understanding of Robert Burns. As January 25 approaches each year, thousands of people in countries all over the globe prepare to celebrate the life of Scotland’s most famous son. The kilts are brought out and the sporrans and skean-dhus are given a polish. The speeches are rehearsed, the haggis is prepared along with the tattles and the neeps, and, of course, a few wee drams will be consumed during the evening. 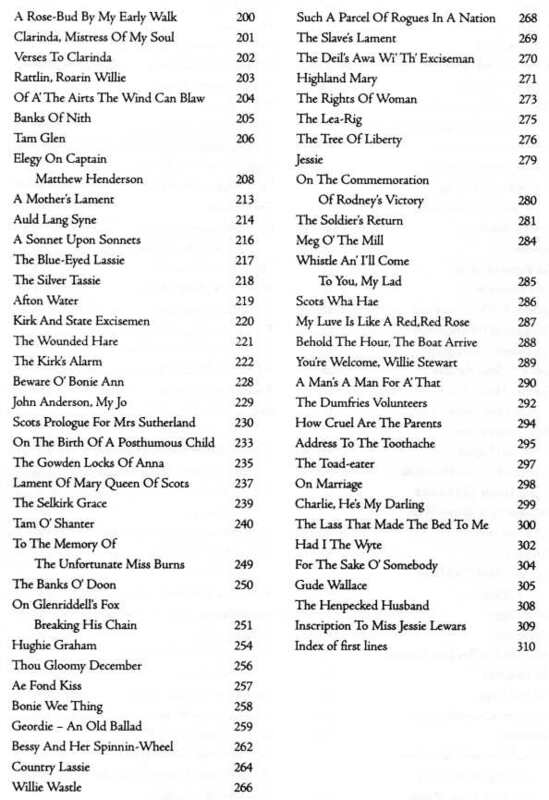 The Bard’s most popular works will be brought out, given an airing, and we’ll hear what a lad he was for the lassies, and what a terrible fellow he was for fathering so many children by so many women. There’ll be all sorts of scandalous stories regarding his private life that will be dressed up as the ‘Immortal Memory’, his life-style seemingly more important than his life’s work. Then, at the end of the evening, everyone will go home feeling that they’ve had a great night and promptly forget about Robert Burns until the same time next year. Burns, in common with many other great figures in history, did indeed have a colourful and eventful life during his 37 short years upon this earth, his early demise due in no small part to the doctors of the time who believed that standing immersed in the freezing waters of the Soiway Firth would benefit his failing health. But his lifestyle is not the reason for his everlasting fame. 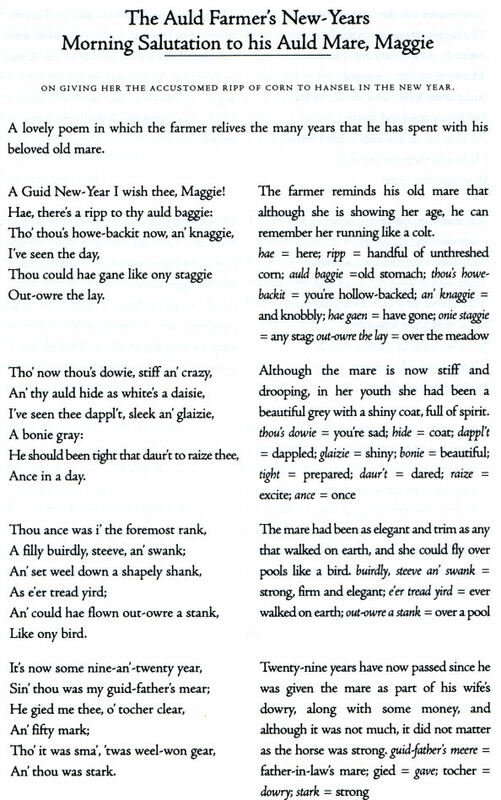 That is due simply to the wonderful legacy of poems and songs that he left to the world, and which most certainly deserve to be read more than once a year. 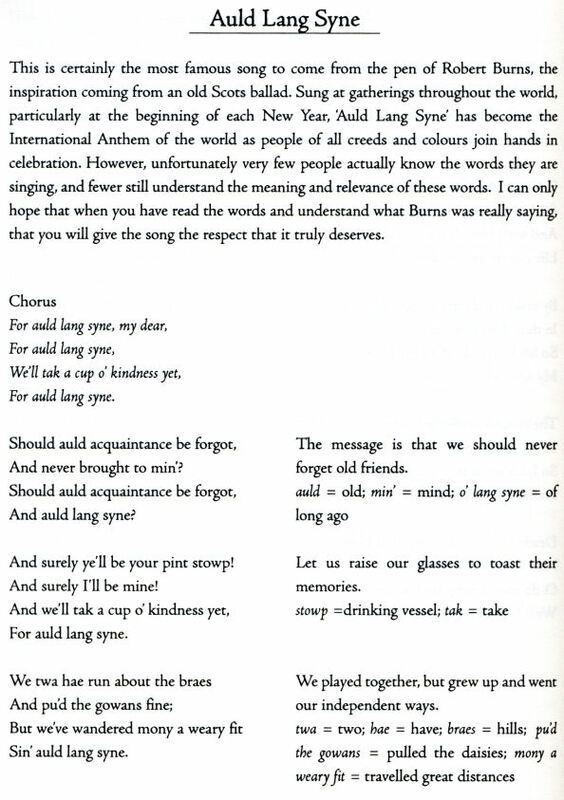 Robert Burns was a man of vision. He believed absolutely in the equality of man, irrespective of privilege of rank or title. He detested cruelty and loved the gifts of nature. It is undeniable that Burns liked the company of women, but what is not generally recognised is that he was a strong advocate of women’s rights, at a time when few men were. He despised false piety and consequently was unpopular with the church as he mocked their preachers mercilessly. I have, however, heard an eloquent Church of Scotland minister describe some lines from the Bard’s works as being no less than modern proverbs, and it is difficult to disagree with that statement when one considers the depth of meaning in some of the words that Burns wrote. ‘An honest man’s the noblest work of God!" 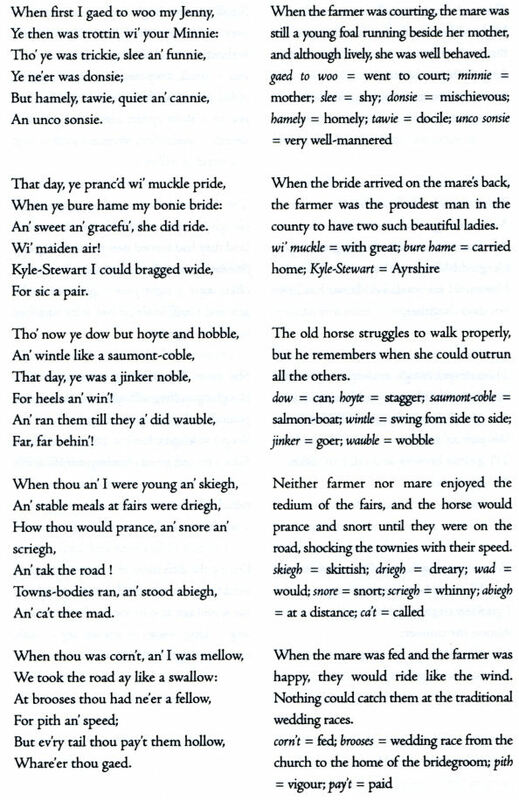 The works of Robert Burns are indeed full of wisdom! 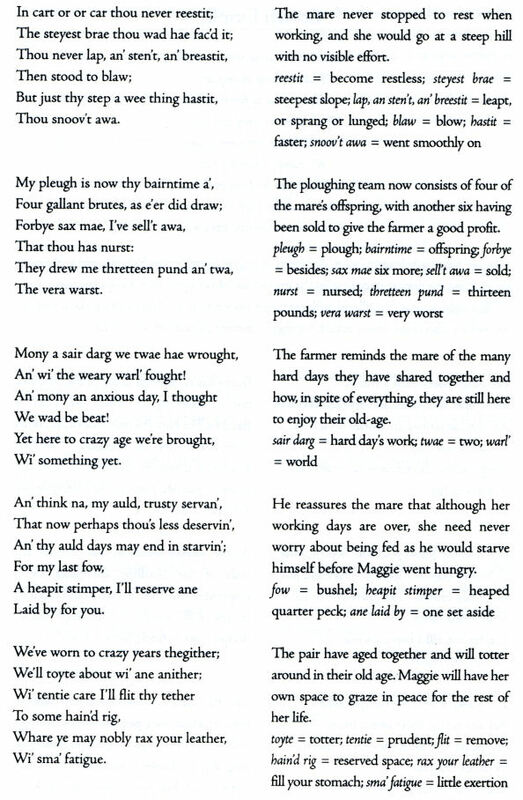 Burns’ poems and songs are wonderful to read, but as many are composed in what is virtually a foreign language to the bulk of English speakers, they can be heavy going to the non-Scot, or non-Scots speaker. 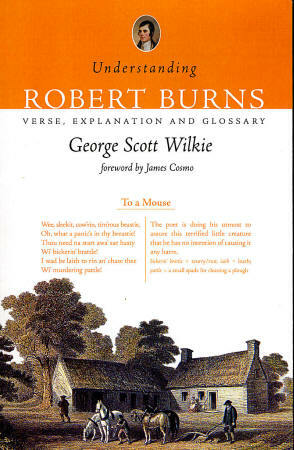 This book contains a varied selection of Burns' works, some well known, others less so. It is designed to make the understanding of the verses simpler than constantly having to refer to the glossary, but without interfering in any way with the original. Burns’ words remain sacrosanct! 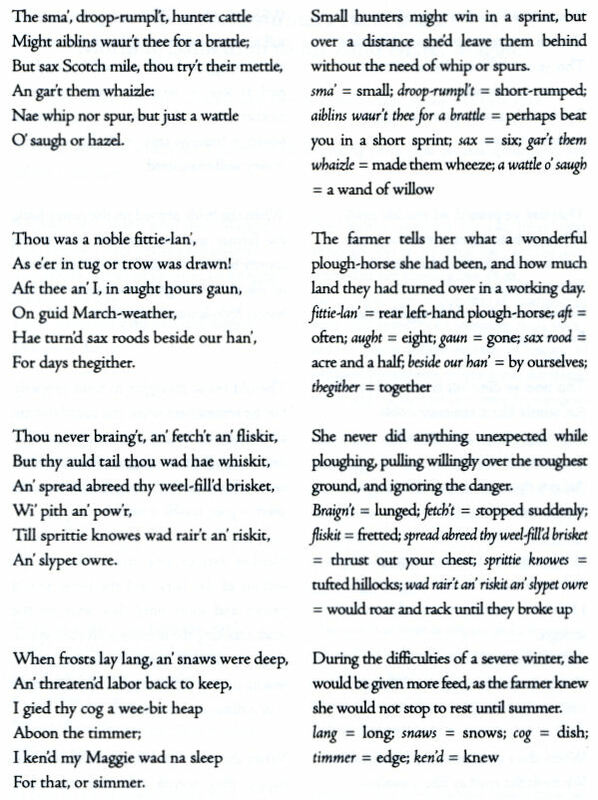 Where necessary, each verse is annotated with a simple explanation that allows the reader to follow the poem without constant interruption, and hopefully to appreciate with ease what the Bard is saying. Let me stress that the explanations are merely my own thoughts as to the meaning of the works. If you would prefer to work them out for yourself I would recommend sitting down and writing out or typing each verse. This is essential if you are a student with exams to sit on Burns, and will ensure that your eyes do not skate across the lines, missing out much of what is contained in them. 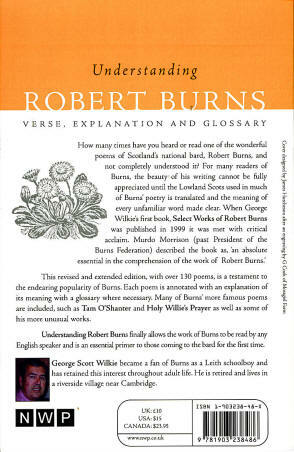 Read and enjoy the words of Robert Burns and you will join the many millions who have fallen under his spell. The book has been scanned in to a set of .pdf files and we have published them in both high quality for broadband users and low quality for dial up users.